TLDR: No. With record high employment and salaries, Utahns are well within the Housing Opportunity Index (HOI) and able to afford housing in Utah, Salt Lake, and Davis County. 2017 was a record year for real estate in Utah and across the nation. In fact, according to the National Association of REALTORS®, 5.5 million existing homes were sold in 2017 and the U.S. Census Bureau reports that 612,000 newly constructed homes were also sold last year. 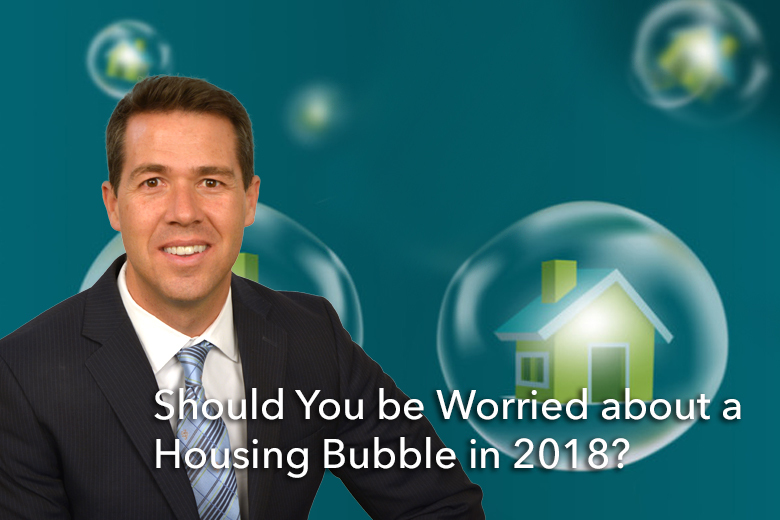 However, as anyone who lived through 2008 can attest, when there are great real estate years like 2017, many citizens begin to worry about the sustainability of the market and ask ourselves if/when the bubble will burst. To understand the fear and motivation behind the question of a housing bubble, we must first look at 2017’s stats. Beyond selling a lot of homes across the nation and Utah, there was a supply shortage that led to a slight decline (3%) in single-family home sales in Salt Lake County. And while homes to buy were few and far between, the median sales price of a single-family Utah home increased by 10% in 2017 to $325,000 marking the sixth consecutive year of price increases. When we experience rapid price increases blended with inventory shortage, it’s natural to worry about affordability. Many home buyers worry that the prices will rise so high that no one will be able to purchase homes and that will leave many Utahns (and the housing market) in a lurch. However, the affordability of housing is measured by the Housing Opportunity Index (HOI) and this is a good indicator of the market’s future. The Housing Opportunity Index (HOI). The HOI is determined by looking at two components in the market. 1) the cost of housing and 2) the local median income (based on mortgage underwriting criteria). If the HOI is above 50%, it represents an affordable housing market. In the third quarter of 2017, the Wells Fargo/National Home Builders Housing Opportunity Index (HOI) reported that a median income household could afford 65% of the homes sold in Salt Lake County. This is good news for the Utah housing market and residents, however, local housing prices are expected to rise another 7% to 8% in 2018. If prices are expected to grow… does that mean a housing bubble burst is imminent? This is where the second part of the HOI equation comes into play. If prices are expected to rise, we need to also look at job growth, median incomes, and favorable interest rates for Utah homeowners/buyers. This is 8,360 higher than the median household income of the rest of the United States. Employment and incomes have only gotten better (increased) over the past two years as more companies pour into the Wasatch Front and Silicone Slopes. Historically, national mortgage interest rates average between 7% and 8%. However, Utah has been blessed with historically low mortgage interest rates over the past few years. Regardless of rates rising slightly in 2017, the lower-than-normal Utah rates ensure the rising home prices stay affordable to a majority of income earners. With practically non-existent unemployment numbers, salaries are on the rise, and lower-than-average interest rates, Utahns are able to keep up with rising real estate prices. This means that a housing bubble and burst is not imminent. 2017 was an incredible year for real estate and we’re predicting that the Utah housing marketing will continue to see good shifts in 2018. Housing prices will continue to rise (good for sellers) but will remain affordable as Davis, Utah, and Salt Lake County continue to see job growth, wage increases, and low mortgage interest rates (great for buyers). You should not be worried about a housing bubble, but instead, consider how you can take advantage of this excellent time for the Utah real estate market. If you’re considering selling your home, we encourage you to start by estimating how much your home is worth and begin to prepare now as May is the best time to sell your Utah home. Contact us with any questions you have about the Utah real estate market and how to get started selling or buying a home.